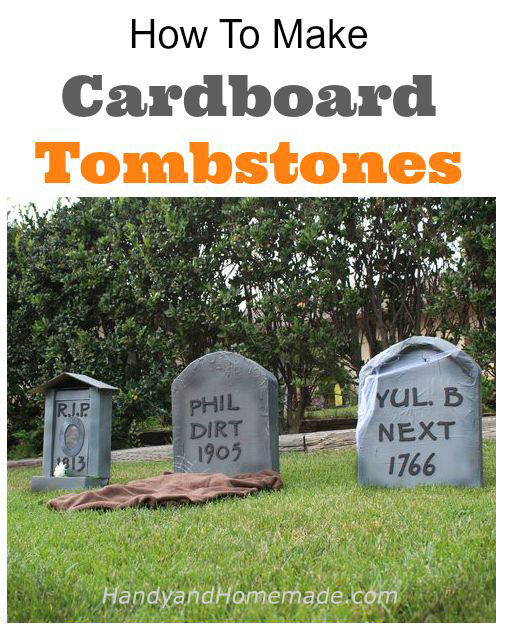 This is the perfect project for the upcoming Halloween season and a great way to use those empty cardboard boxes etc. It is easy enough for an older child to help with, making it even more fun. You will need: Cardboard boxes, measuring tape, scissors, packing tape, sand or bricks, 3-inch stencils, newspaper, decoupage glue, spray paint and a hot glue gun. You can making as many as you'd like creating the spookiest house on the block!